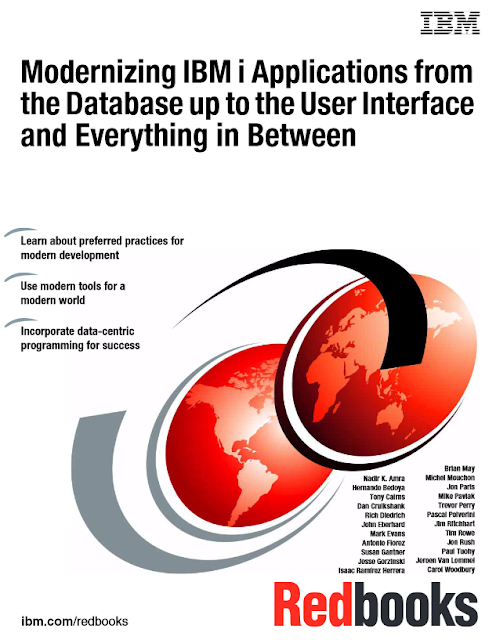 Last year IBM released a great Redbook with an overview how to modernize your IBM i applications In July a refreshed version of this Redbook was published on the Redbooks page. This book is the bible for every IBM i developer who wants to improve his development skills. It shows all options to modernize classic RPG programs. Shows the modern development tools for the classic IBM programming languages and shows all the new language options like Java, EGL, PHP or Java script which were added to the platform in the last years. In my opinion a must read for every IBM i developer.